KHARTOUM – Benjamin Strick, a journalist with BBC Africa Eye, has been using geo-location techniques to verify the latest footage from the demonstrations in Sudan. The videos give a sense of the scale and the mood of the gatherings. Some Sudanese soldiers have raided the offices of a group linked to President Omar al-Bashir’s ruling National Congress Party in Khartoum, witnesses told both AFP and Reuters news agencies. The soldiers have entered the offices of the Islamic Movement, the main component of Sudan’s ruling party. Thousands of Khartoum residents chanted “the regime has fallen” as they flooded the area around army headquarters in the Sudanese capital, reports AFP news agency. They are still waiting for a statement from the army which was promised more than four hours ago. “We won’t leave from here until we know what it is. But we do know that Bashir has to go,” the protester added, referring to President Omar al-Bashir who has been in power since 1989. There has been no word yet from the army. 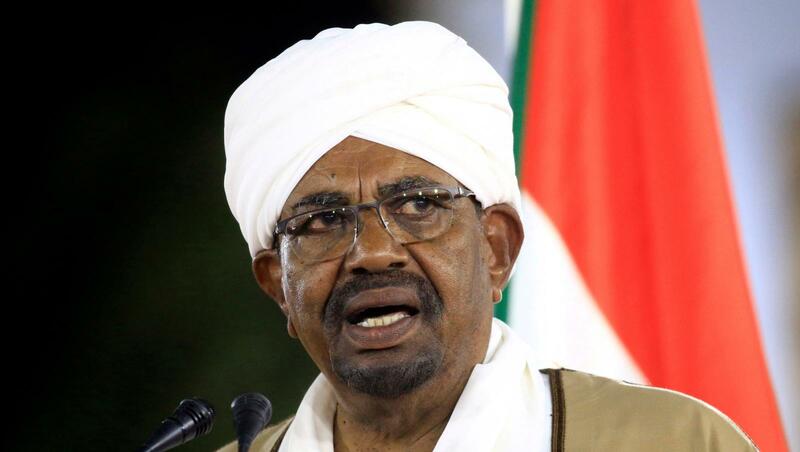 Reuters news agency, quoting unnamed sources, have reported that President Omar al-Bashir has stepped down and consultations are underway to set up a transitional council. They are expected to make an important announcement anytime now on national television and radio as protests demanding the end of President Omar al Bashir’s rule enter the sixth consecutive day. Huge crowds are still gathered outside the army headquarters in the capital Khartoum and they’ve vowed to leave only when the president resigns. Patriotic songs have been playing on national radio and the main international airport is now closed. Calls for a political transition have been gathering momentum. There have been celebrations on the streets of Khartoum and calls for more people to join protesters gathered outside the army headquarters.